A fundamental challenge in every job is communications. Getting your audience in sync with your message is fundamental to communicating effectively. In previous posts, I have talked about using a closed loop approach, the value in feedback and how numbers improve decision making. Segue to how the concept of feedback or closed loop is used with mathematics. Specifically with probability and ratios. There is a method to better understand probability outcomes that includes current and prior knowledge. Formally known as Bayes’ Rule (aka, Bayes’ Theorem or Bayes’ Law), it provides a way to numerically express how a degree of belief should rationally change to account for evidence of that belief. 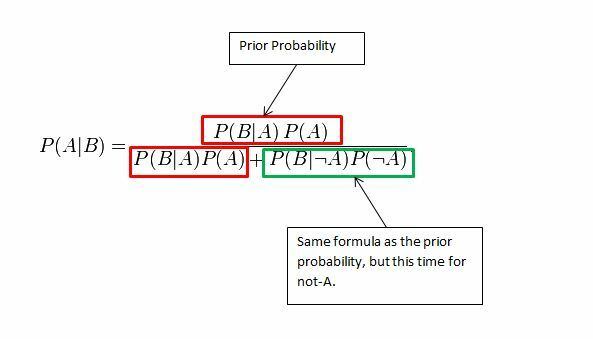 It gets complicated but basically, it involves prior and posterior probability. The posterior probability is the Bayesian inference. The value in using Bayes’ Rule is starting with a prediction, getting results and then improving the prediction based on those results. What I find interesting is it provides a way to get smarter about something in the future and uses a ‘closed loop’ to do it. The intent is to keep getting smarter based on what you know and what you learn. Improved insight or knowledge may not require using Bayes’s Rule, and whatever form is used for communications, it is important to accurately state what you know and reserve the right to be smarter in the future. One of the most important skills I find in project management is being able to communicate. It may sound simple and a bit obvious and yet can be a hard lesson learned for project managers. My experience has shown that having the ability to hear and, just as important, be heard, can make or break a project. The format and style used in those communications can be formal or informal, relative to the culture and management style of the organization. Regardless, that ability to indicate progress or raise issues quickly and get feedback keeps a project on track and moving forward. In fact, I prefer having a closed loop in communicating. I have found that the feedback loop is key to keeping everyone on the same page about a project. This works not only during execution but also for change management. Without feedback, you may not meet the needs of the client and/or stakeholders. That is a waste of both time and money for them and you. That can easily be avoided working in a closed loop with feedback. Listen to both what is said and what is not said. Build relationships with everyone involved in the project and across, up and down the organization. Set clear priorities with the team and obtain that list from the stakeholders. Collaborate with everyone as none of us is as smart as all of us. Convey the mission and project impact to it. I agree with this list and also expect that stakeholders have similar skills. Their ability to listen and provide clear direction is a key success factor on every project. Without feedback, how would you know you when you successfully deliver a project? I have been using this site for several years now as an easy way to save web site URLs. By saving those links on delicious.com, I could easily access them from anywhere, on any device. Ah, the benefit of using the cloud. 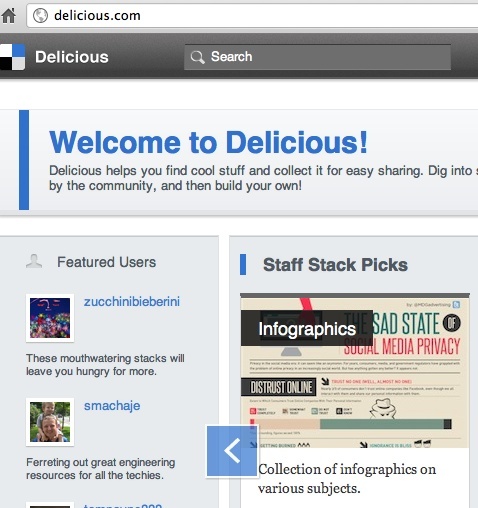 In addition to saving URLs, delicious provides a way to organize them into stacks. I’ve been collecting infographics for a while and organized them in a stack. 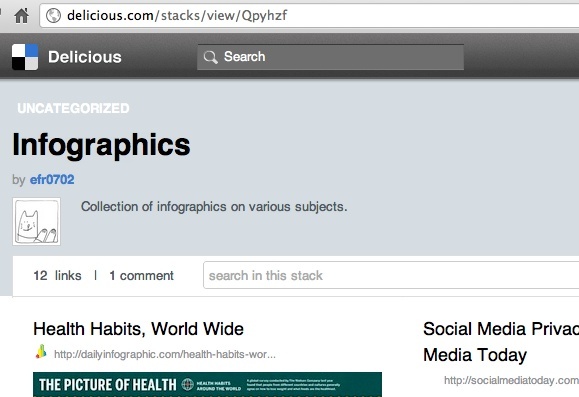 Similar to any URL saved to delicious, stacks can be marked private or public. The full list of public URLs I have is available via the link titled ‘My links on delicious‘ at the top of the blog. Last week, I ‘published’ that stack by making it public. Soon after that, I received an email from delicious. They found my stack, said it was deemed interesting by the staff and would be featured on their home page. Naturally, I shared this information with my Twitter peeps, LinkedIn network and Facebook friends. Since the weekend, there are over 640 views and 80 followers and counting. I am very happy delicious selected my stack and appreciate their attention. My family is so proud of me. As stated, I have multiple topics listed here. I like the ability of infographics to provide a lot of information concisely and cleanly in a visual format. In short, they are ‘a better mousetrap’ to use in visual communications. Also, I think they are much more preferable to ‘death by Power Point slides’. Disclaimer – I have yet to create my own infographic. I have mentioned in the past infographics are great for a 1 page representation on a given topic. There are several sites* that use these visual data summaries. What’s your favorite source for infographics? Care to share your stack? Who knows, you might get featured also.